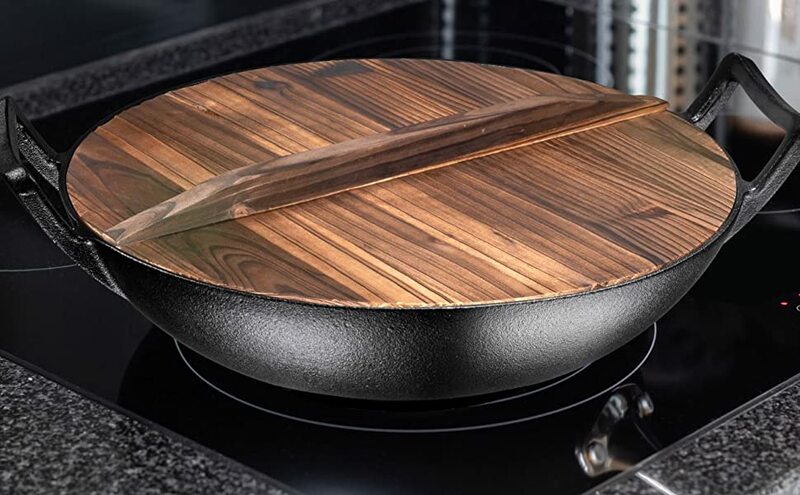 This wooden lid fits our 14" cast iron wok. It will also fit other woks with the same diameter. 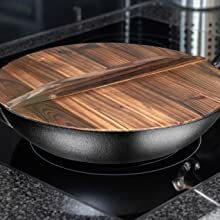 The thick 0.6 inch wood helps keep heat in and the temperature consistent until you are ready to serve the beautiful food you've cooked. 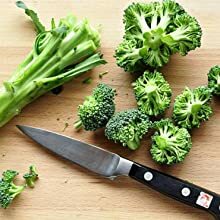 This is also great to use when you are steaming vegetables, fish, re-heating food, and more. The helper handle was added so you could lift the lid easily. Hand wash only. Rinse with soap and warm water and let dry. Add enough peanut oil to the hot wok to coat the bottom. 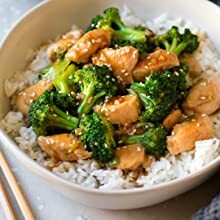 Add the ginger, garlic and green onions and stir-fry until fragrant, about 1 minute. 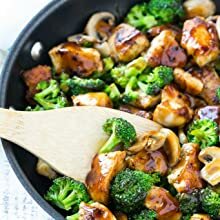 Add the chicken back to the wok along with the broccoli florets and stir to warm through. Pour in the reserved sauce and stir until the sauce is thickened and bubbly, about 45 seconds.